I'm Elena, I live in Greece and I am a yoga teacher. For 12 years I practiced dance (jazz, ballet). The last 2 years I started to practice contemporary dance and I loved it! It also helps me a lot in my teaching and now I also teach yoga dance. 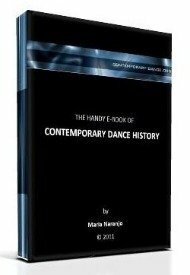 I decided to try and study contemporary dance (I do release technique and Cunningham also). Could you propose me some schools where I could study contemporary dance? (in Europe...) Considering that I am now 29, I don't want to be a professional dancer, nor even to go to the BEST contemporary school of dance. Simply, somewhere that I have some possibilities to enter. I hope you find the right place for you.